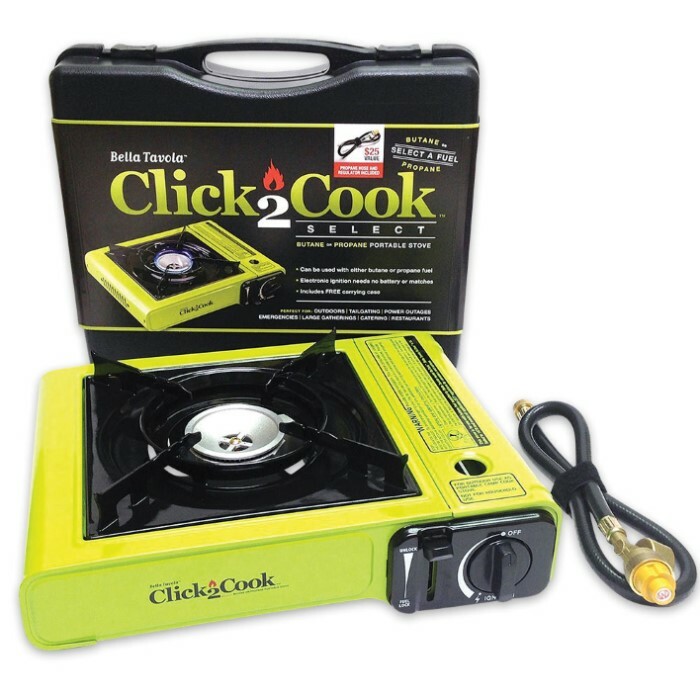 Click2Cook Select Butane And Propane Stove | BUDK.com - Knives & Swords At The Lowest Prices! 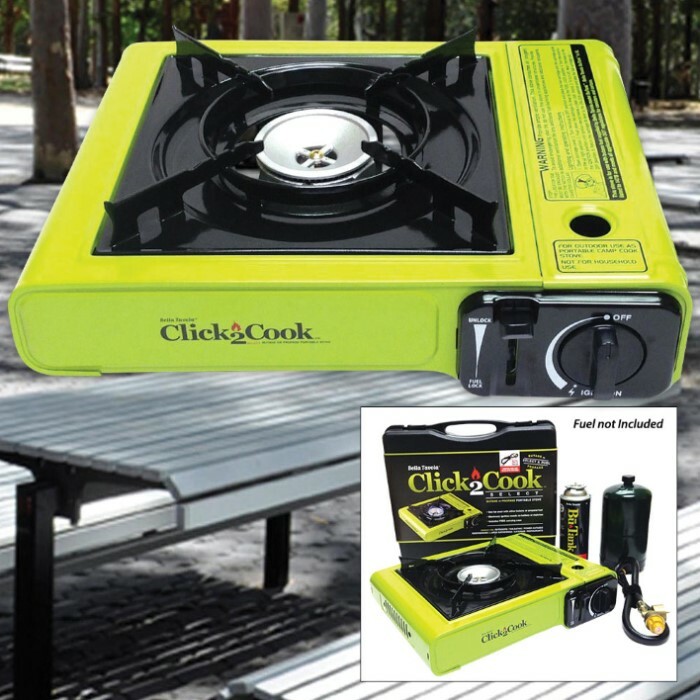 The Click2Cook Select Butane And Propane Stove is ideal for restaurants, catering, cooking outdoors, tableside preparations, parties, weddings, tailgating and camping. Wow! 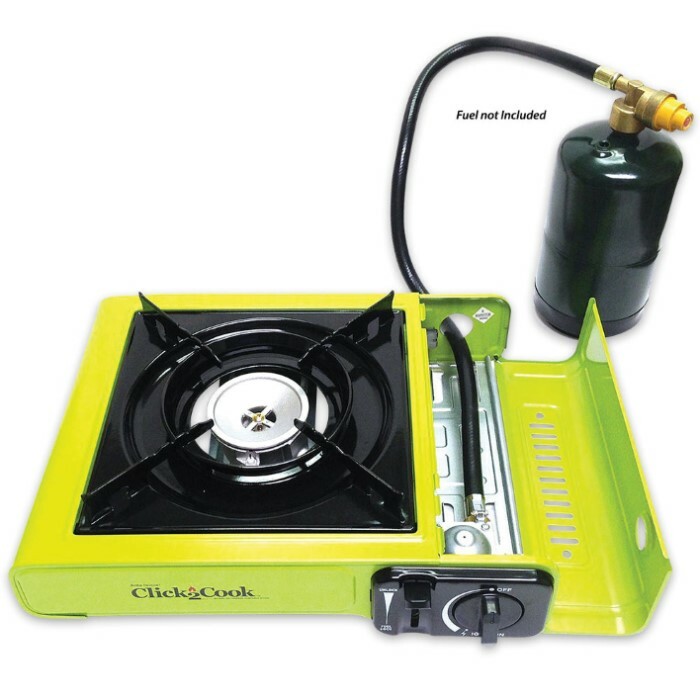 That’s a lot of use you can get out of this compact, easy to carry stove! It features matchless lighting with an easy to use piezo ignition system and a cast aluminum burner that adjusts from simmer to boil. It has a durable heavy gauge steel frame with a baked on enamel finish. It uses an 8-ounce disposable, notched collar butane cartridge (not included). You can also switch to propane quickly with the included propane regulator and hose assembly to connect to 1 lb propane cylinders. It has a gas leak prevention device and pressure sensing safety shut off device. A convenient plastic storage and carry case houses the stove.